Some call it “Loom Waste”, others call it “thrums”, in SAORI weaving we call it “Treasure” – small bits of great yarns to be used in future weavings!! 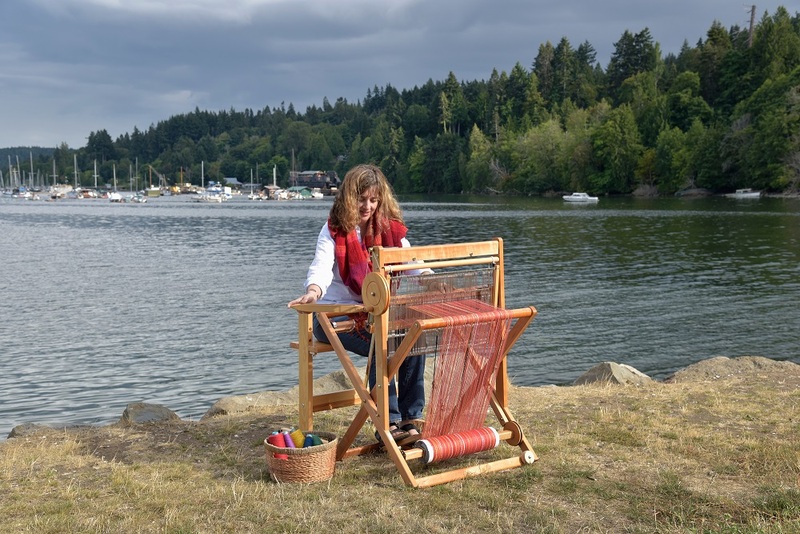 Check out the Saori weaving in the latest issue of Handwoven magazine (page 10) and also on the website. Liz Gipson put together a bunch of ideas of what you can do with your leftovers from other projects. Recycling, upcycling, whatever you call it some great ideas! Here is a slideshow of ideas including a “Treasure Belt” from Chiaki O’Brien at Saori Studio Fun and two of my projects “Postcards from the Edge” and “Saori Tea Cloth“. Stephanie showed me ‘you’ in Handwoven at KBN yesterday – I love the shared pride and contentment of networking! – was wonderful to know your work is going to be viewed by an even greater audience. And I love mailable art! What a gorgeous slide show! Thank you so much for telling us about it! 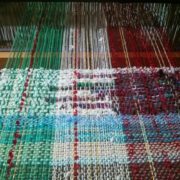 Yes, I am pleased to let people know about Saori in many ways and I love saving all the bits and pieces of treasure to be used for other weavings.